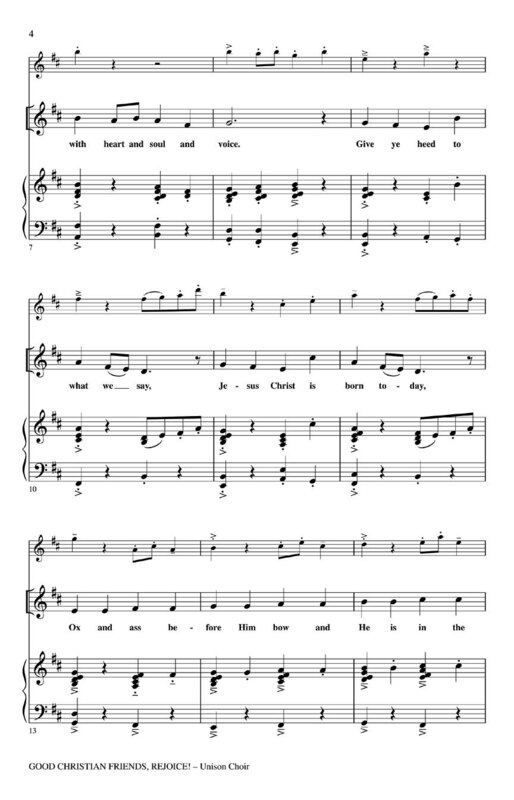 This buoyant setting of the traditional text will fill your Christmas concert with great joy! 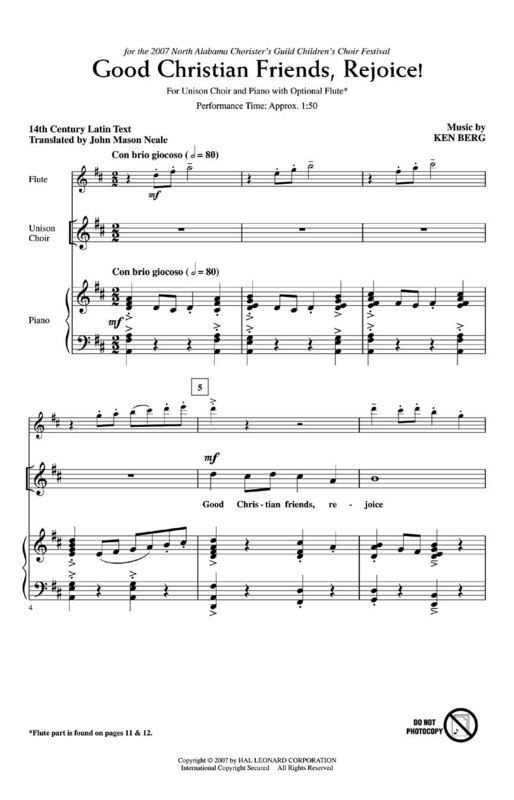 Primarily unison; with optional divisi at the end and flute. Performance Time: Approx. 1:50.